Drag and drop is a fairly popular approach for modern websites to improve their overall UX. 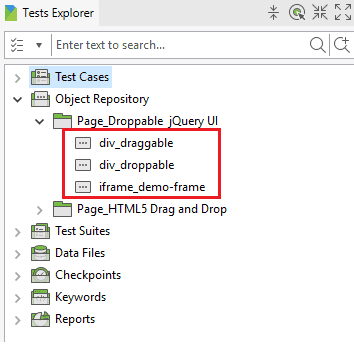 However, it could be very challenging to implement automation test for drag and drop components. 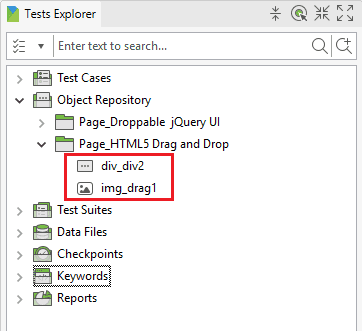 In this tutorial, we will show how Katalon Studio is used to test the drag and drop feature in a web application. This article assumes that you are familiar with the tool’s basic features, to have a quick idea of how it works or to review the interface please refer to Kickstart your automation testing using Katalon Studio or Katalon Studio User Guides (https://docs.katalon.com/display/KD/User+Guide). 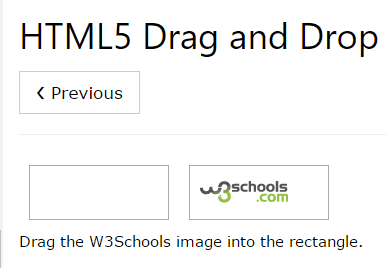 Using HTML5 Drag and Drop, which is detailed in w3schools’ HTML Drag and Drop tutorial. 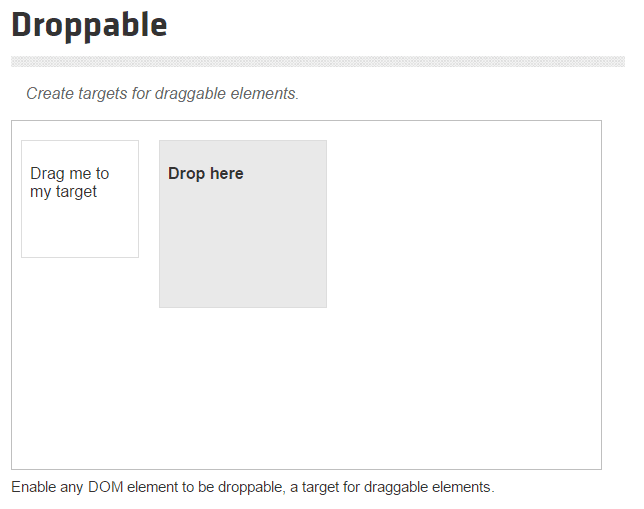 For this section, we will use the jQuery Droppable example page (http://jqueryui.com/droppable/#default) as the application under test (AUT). 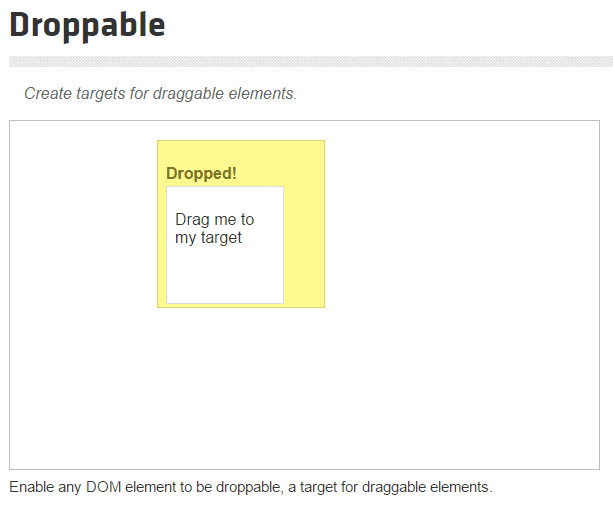 The example website provides a simple implementation of drag and drop with a draggable object containing the text “Drag me to my target” and a droppable object with the text “Drop here”. We are going to test this behavior using Katalon Studio. 1. Create a Katalon project with the name DragAndDrop. 2. Open the Object Spy dialog, start a spy object session and navigate to the AUT website at http://jqueryui.com/droppable/#default. The name of each object is self-explanatory, except for the iframe_demo-frame object which is the parent iframe of both draggable and droppable objects. Now let’s use those captured objects in a test script. 5. Run the test case and you will see that the executed test will pass effortlessly. We will implement the drag and drop custom keyword for HTML Drag and Drop, then verify the innerHTML of the right rectangle when the drag and drop is completed. img_drag1 is the identifier of the draggle image object, while div_div2 identifies the destination rectangle element. 5. 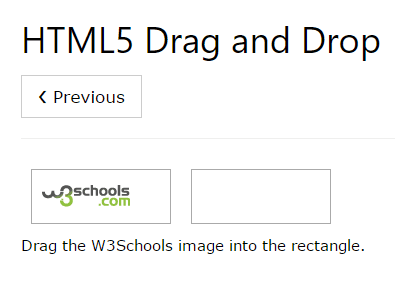 Run the test case and you will notice that the W3Schools image is dragged and dropped in the right rectangle successfully. We hope you enjoy the tutorial, please comment if you have question or another solution to automate the drag & drop testing. For additional tip & tricks, access Katalon Studio tutorial page (https://www.katalon.com/tutorials/). The sample project could be found here. Currently working as a senior full-stack developer for KMS Technology, Hieu Mai is one of the developers behind Katalon Studio. With 5 years’ experience in Desktop & Mobile applications development and automation testing, Hieu brings this expertise to develop Katalon Studio. For more updates on Katalon Studio Tutorial, please Subscribe to our Newsletter. Please ask any questions on ForumsQA under Katalon category, to get the quick help.